The weather was nice, with good visibility. Authors of the stories about the Bermuda Triangle took this case as one of the descriptive disappearances without a trace, offering supernatural explanations. On this day, a Douglas DC-3 airplane marked NC16002 disappeared without a trace while flying from Puerto Rico to Miami, Florida. The circumstances of the disappearance were never clarified, nor were any remains of the plane ever found. 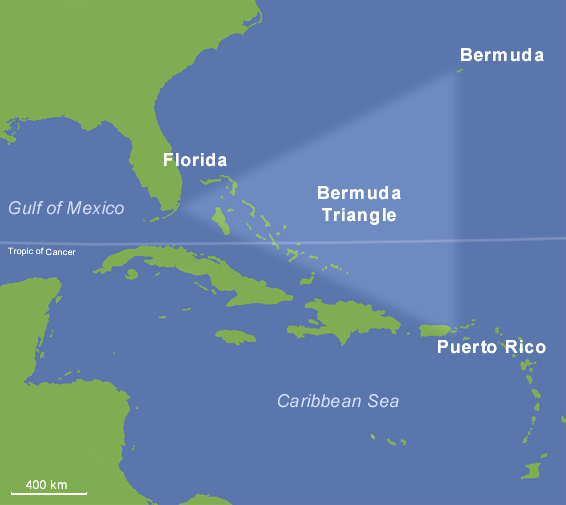 It happened in the area of the ​​so-called Bermuda Triangle, which is most often described as a triangle with vertices in Florida, Puerto Rico, and the Bermuda Islands. There were 29 passengers and three crew members (pilot, co-pilot, and flight attendant) on the plane. The weather was nice, with good visibility. The pilot’s last transmission to flight control was at 3:40 in the morning, when he reported that he was only 80 kilometers from Miami. Authors of the Bermuda Triangle stories took this case as one of the representative disappearances without a trace, offering supernatural explanations. Among the more realistic theories, it was noted that the batteries on the plane were almost completely discharged before take-off, which could have lead to an electrical systems failure. However, this does not explain the accident, because engine-driven generators are used for the electricity supply during the flight, rather than the batteries.